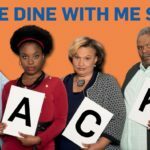 BBC BRIT, DStv channel 120, has confirmed that the critically acclaimed hit Come Dine With Me South Africa will be back for a fifth season in early 2019. This follows the success of season 4, currently showing on BBC Lifestyle (DStv channel 174), Tuesdays at 9pm.Now BBC BRIT, the home of the best and boldest entertainment shows, and their production partners Rapid Blue are calling for potential contestants, who think they have what it takes to be crowned SA’s top dinner party host, to take part in the upcoming season by signing up at www.BBCSouthAfrica.com by Wednesday 29th August 2018. 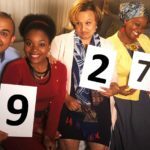 The successful SAFTA winning show follows the drama as, each episode, four strangers are wined, dined and entertained in each other’s homes in a bid to win the R10 000 prize. 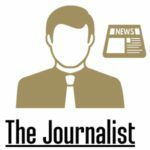 While it’s the effort and attention to detail shown in the food, décor, entertainment and overall hosting skills that gets the votes, often the clash of different personalities and tastes has a dramatic and hilarious role to play in the outcome of the evening. The ITV Studios Global Entertainment format has been commissioned in partnership with the award winning, Johannesburg based production company Rapid Blue and demonstrates BBC Studios on-going commitment to providing high quality original productions for its South African audiences. Featuring the wry observations of voiceover legend Dave Lamb, outlandish, entertaining characters, sumptuous cuisine, and lekker local humour, Come Dine With Me South Africa season five is looking to be even more exciting than ever with some surprise elements in store for contestants. Upcoming episodes will once again be filmed in Cape Town, Durban, Johannesburg and Port Elizabeth. Applications to become a contestant are now open to South African residents and information on how to apply can be found at www.bbcsouthafrica.com. The application process will close on Wednesday 29th August 2018 ahead of the 12-part series premiering on BBC BRIT in early 2019. 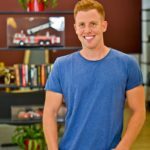 Joel Churcher, General Manager and Vice President, BBC Studios in Africa said, “The popularity of the latest season of Come Dine With Me South Africa is testament to the fact that the local audience enjoy some home-grown entertainment and South African hosting antics. We had a break between seasons three and four and were overwhelmed not only by the return of the shows’ very loyal fans but also by how many new audiences the show attracted too. Come Dine With Me, which is distributed internationally by ITV Studios Global Entertainment, is now produced in 40 countries including Germany, France and Australia, having established itself as one of the world’s most successful television format exports, with thousands of episodes in many languages across the globe. Come Dine With Me South Africa was the first local commission from BBC Studios for its channels in the EMEA region and debuted in South Africa in 2011. The first four seasons have been huge ratings hits and in 2013 the programme won a Best International Format Show Award at the 7th Annual South African Film and Television Awards 2013 (SAFTAs). #ComeDineSA, www.bbcsouthafrica.com, @BBCBRITSA on Facebook.